TAFE at Tenterfield – we had a ball! Last Friday I had my final TAFE class for the year. We had Christmas items on the agenda. We started at 10 am and finished at 3.30pm, lunch in the middle and loads of laughs in between times. This is the collection of items that we made. Some I had given a sneak-peek on my blog previously. The remainder were a surprise. Front row – Gift card holder. 10 lovely ladies really enjoyed making these goodies and I had such a good time with them all. Cannot wait for the first class in 2011. 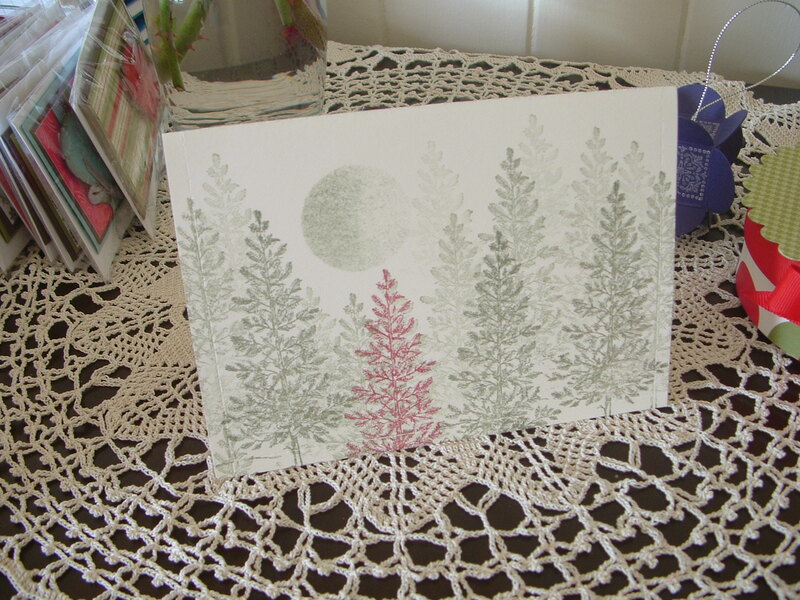 This is a closer view of the letter card. I’ve done these before and they are such a hit for busy people. It’s simply an A5 cardstock folded like a normal card, decorated front, addressed on the back and the perforating tool run around the entire edge of the cardstock. 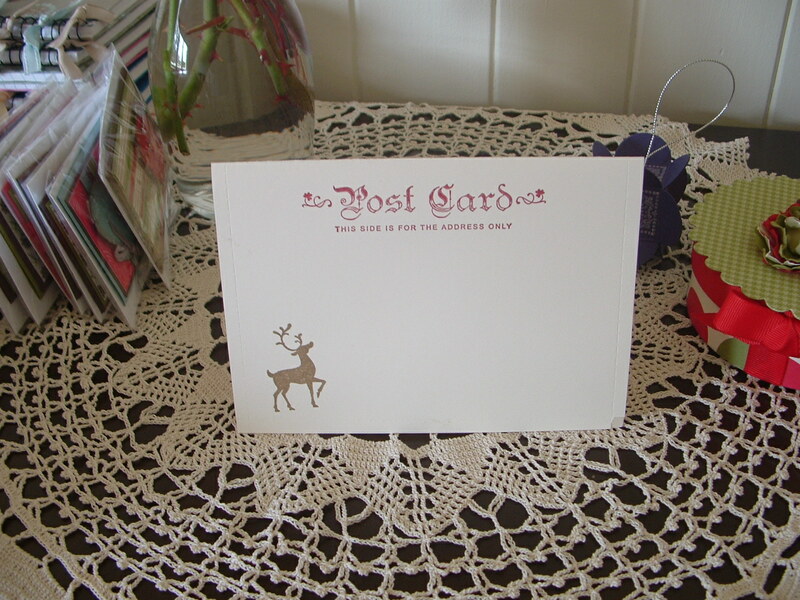 This is the other side of the letter card where you place your stamp and address. These are accepted by Aust.Post and fit the ‘standard’ letter criteria. Closer view of the Magnetic calendar. This was a really popular item. It has lots of potential as teacher gifts, teen classes etc. 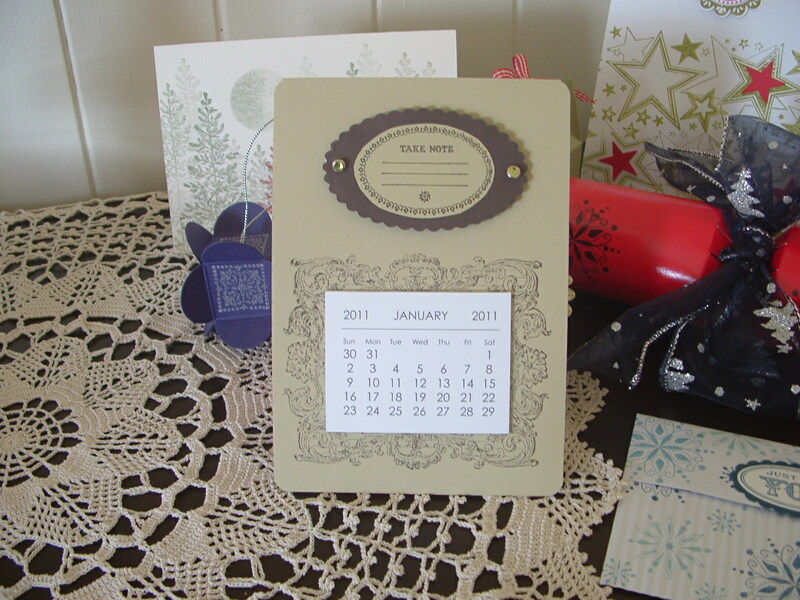 The stamp set I used here is Notably Ornate and the tiny calendars just fit perfectly in the frame stamp. 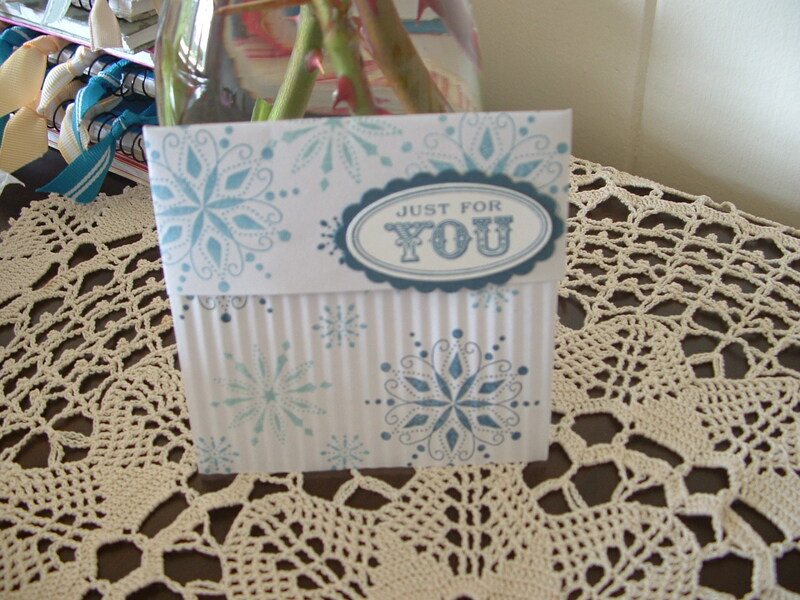 This is a closer view of the gift card holder. It’s so easy-peasy. It’s just a small envelope (the size down from C6), sealed, then about 2″ off one end. Decorate both pieces front and back. Run the larger piece through a crimper sideways. This ‘shrinks’ the bottom piece of the envelope thus allowing the top piece to fit over the the bottom forming a ‘lid’. Voila! I hope you enjoy these items as much as my ladies enjoyed making them. We had a great time of laughing and chatting. Cannot beat a day like that really………..good company, good fun, great product! 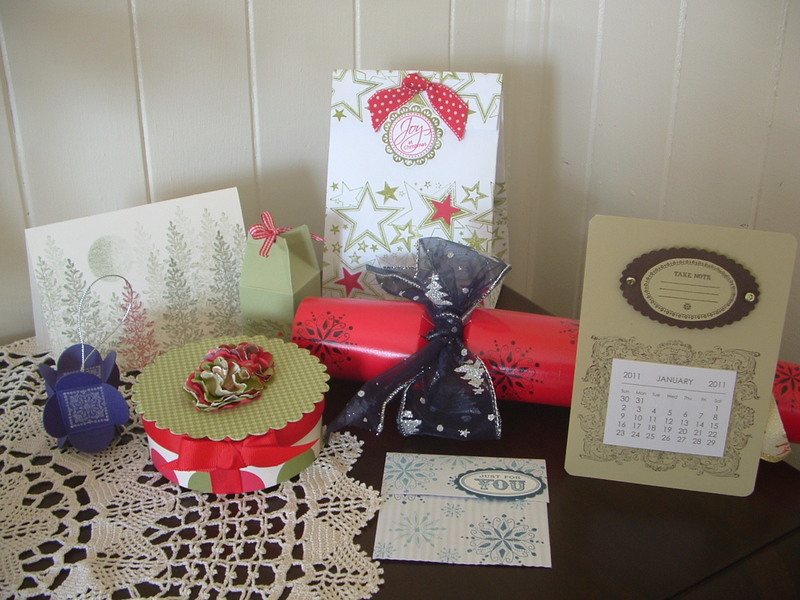 Thank you Stampin’Up!